Learn how a UM representative helps a local coffee shop trade directly with El Salvador and celebrate with coach Robin Selvig as he prepares to coach his 1000 game on this week's edition of UM News. Broadcast journalism seniors Dustin Klemann and Emily Foster anchored today's newscast. Tara Oster produced the show, and Scott Ranf directed. 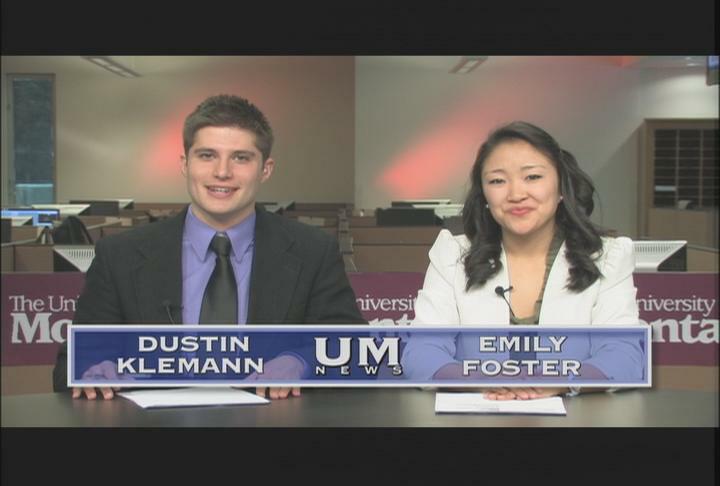 UM News airs Thursday mornings at 8:25 a.m. on KPAX-TV in Missoula and KAJ-TV in Kalispell. UM News is a production of the Department of Radio-Television and the School of Journalism at the University of Montana.